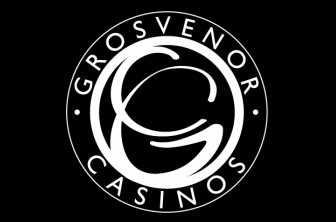 The Grosvenor Casinos at Great Yarmouth is located in Marine Parade and offers the ultimate gaming experience and a memorable night out. With an excellent range of casino games including Roulette, Blackjack, Three Card Poker, 16 different slot machines and another 16 electronic terminal, you will never run out of gaming options at this casino. Whether it's a quick bite or a special occasion, the restaurant at the Grosvenor is not to be missed and offers an exquisite menu as well as an extensive wine selection. Sit at the bar and watch the latest sporting action on plasma screens while relax between games or check out the live entertainment. The Grosvenor is a great place to meet up with friends or just have a night to yourself, whatever the occasion you are guaranteed a fantastic evening. No membership is required to play or dine at Grosvenor; all you have to do is provide valid photo identification on your first visit. Entry is free to anyone over the age of 18. The Grosvenor is open from 2pm to 6am, 7 days a week. The restaurant opens from 6:30pm to 2am. The bar timings are from 2 pm to 4 am daily. Whether it's a special treat or just a quick bite, the food at Grosvenor is not to be missed. The menu consists of mouth watering delicacies complemented by an excellent selection of wines. To add something more to a great night out, book a table at the restaurant. The restaurant has several special offers for their guests including a two course meal for £8.95 available Sunday to Thursday. If you are with a group of friends and fancy finger food, try one of the six buffet packages that offer great value at £5.95 per person. Catch up with your friends at the bar or relax between games in one of the lounge chairs with an ice cold beer or a glass of wine. The bar offers an excellent menu consisting of light bites such as burgers, pizzas, sandwiches and more. Grosvenor has three excellent packages for their guests which enables them to experience the casino at nominal rates. The packages include Straight Flush Experience for new comers and the Full House Experience as the Royal Flush Experience for groups. Receive £32 for every deposit of £20, up to £160 at 32Red Casino.